Did you know that three-quarters of pregnant women and new mothers experience discrimination at work, with one in nine losing their jobs? This appeared in a government-backed report by the Equality and Human Rights Commission in 2016. Once I’d got over this shocking revelation, it really dawned on me how fortunate I have been with my job and in turn amazing employer. – XYZ, a brand experiential agency, who specialise in events and immersive brand experiences for some of the UK’s most loved consumer brands. Full of thanks that I was not one of those government stats, I felt compelled to share my story and inspire those who may themselves be pregnant or thinking about starting a family that there are employers out there that really couldn’t be more supportive and flexible, both in pregnancy and beyond. So yes, it is not unreasonable for employers to notice that pregnancy and maternity leave comes with significant health impacts for many women. Some sail through the months of hormonal uproar with utmost serenity, but many do not, of which I was one. The easiest births can take some weeks to recover from, and the most difficult can take years – both in terms of physical and emotional recovery. Again, I found myself in this ‘complex’ category. But should it be too much to ask that employers act with a measure of understanding and compassion even, when they work to support their pregnant or returning to work staff? The answer here is NO it shouldn’t, but in so many cases even if employers want to be compassionate (this is not a given!) are beholden by HR policies that simply do not put pregnancy and flexibility around children first. Not only is this firstly illegal on so many levels, but it is also stupidly naïve? Companies that do not put employees at the heart to enable them to deliver in their day to day roles, provide training, and growth opportunities in the future will fail to get the best from their employees and in turn their own business potential. So what did happen in my case? I started at XYZ, an events and immersive brand experiences not knowing I was already pregnant. Unable to hide the ever growing bump, I had to drop the news to my bosses (both men) just a week after my three month probation. Nervously tapping my foot, thinking please don’t fire me from a job I love, I was simply delighted that their reaction was one of massive relief. It appeared they were worried I was going to resign! One very important point to note here – if you are still in your probation period, DO NOT tell your employers you are pregnant, before you have it in writing that you have passed your probation period. Not only does this protect you with the maternity rights you’re most certainly entitled to, but it gives you an element of security for the near future. Whilst I was pregnant, I joined a few Facebook forums, one being run by the insta famous Clemmie Telford, Mother of All Meet Ups, and I won’t forget this testimonial from a girl in a similar creative industry who told her boss she was pregnant before completing her probation and despite nothing but glowing reviews in the preceding months, as soon as she told them, they politely let her go. Using the fact that she didn’t have a university degree as an excuse. How pathetic! The months of pregnancy can for any mum-to-be be a complete rollercoaster – even with a straightforward pregnancy. However, for me, as a first-time mum, it was even more terrifying as I found out at six months my baby had stopped growing. With this alarming news I was immediately booked in for scans and medical appointments every fortnight as a minimum prior to the birth. Not only did this take a huge toll emotionally, but meant I was in and out of the office on a regular basis, which was disruptive to say the least. But, even as a client facing organisation, XYZ’s commitment to my personal growth during pregnancy, never faltered. In fact, quite the contrary as they integrated me into the Senior Management team just four months into the role. With five weeks to go until my due date, my daughter was born prematurely and kept in hospital for three weeks. At a time when I was all over the place, XYZ once again stepped in and not only did they give me financial support (over and above my contracted pay), they totally unprompted, decided to support Borne, a charity running research to prevent premature births, who were preparing for a huge challenge in the arctic at the time. I decided to return to work after 7 months, and to be honest I couldn’t wait to come back. It was wonderful to have a sense of purpose, as well as adult conversation and that illusive hot (not luke warm) tea when I wanted! Many asked me what it was like to use my brain again? I mean seriously is that what people think of women on maternity leave, that we have lost our brains?! This is just a stereotype, emphasised by the media, but it couldn’t be further from the truth. I learnt very quickly to multi-task, and not in a just ‘going through the motions’ way, but with a militant, output focussed approach. What I really mean here is that I learnt to be present in whatever task I was doing to really maximise the time and energy I was giving to it. And it’s this ethos, born through pregnancy, but that has changed the way I approach work and how thankful I am to have a job I love and the support of a team who can see my true value as a working mum. Work continues to be so flexible with my hours and really don’t mind when I work as long as I deliver. One of the Directors is constantly reminding me to leave at 5pm!! So to summarise, my experience from finding out I was pregnant through to coming back to work has been nothing but positive, empowering and really changed my outlook to work and life in general. I just wish my experience was the norm for many other women. 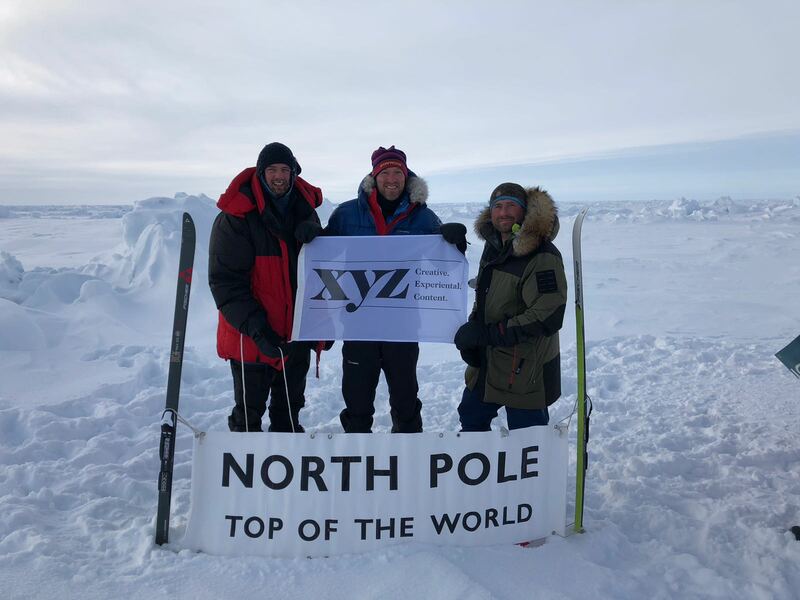 XYZ is 75 per cent female as an organisation and has very strong senior management team of various ages, some with children and some without. Their strong work life balance and culture of employee trust truly embraces flexible working, and other than working from a desert island, as long as the job is done, they couldn’t be more supportive. And ironically even though I had more time off than they or I could have anticipated in the last two years, I couldn’t be more loyal to the business. Ironic maybe, but perhaps a lesson that other companies could learn from? This article was first published on We Are The City here.